Packing for a trip out of town can be such a headache. You don't want to forget anything and then have to pay those increased prices found in tourist areas or be in so remote or foreign a place that you'll have to go without them. Making lists upon lists is my (almost) no-fail method to prevent forgetting anything, but I have another trick up my sleeve. Enter, the Vacation Rental Box! As I mentioned in my last post, we just returned from a vacation in Florida. While the trip had been planned for many months, the prepping and packing seemed to only come in the last few days before we left. However, there were some things that I knew I didn't have to think about. Basically, our vacation rental box was just about ready to go. We tend to call it "The Condo Box" because we used to rent condos at the beach fairly frequently. However, those intimate rentals have filtered off over the years. Instead, we've been renting houses or taking the pop-up camper on vacation trips with friends. This box works perfectly for any of those getaways. Rentals are a special breed of vacationing. In a hotel, you don't have some of the responsibilities or amenities that a rental provides. I'm speaking most specifically of cleaning and cooking. 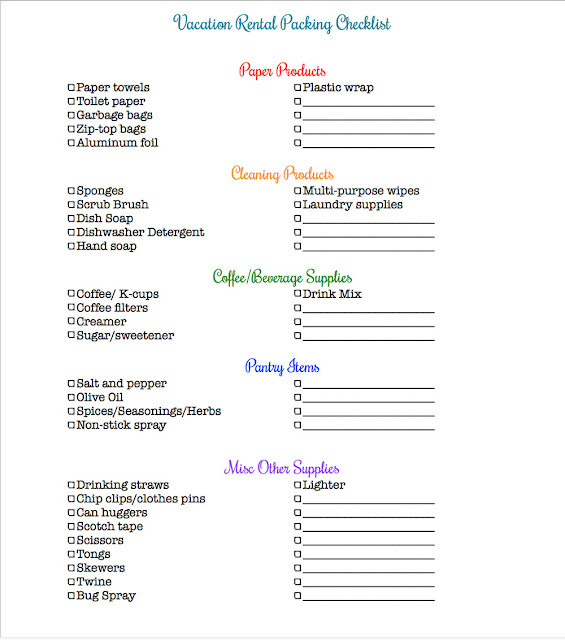 Of course, if you're not planning on using the kitchen, this list may not be for you. We personally have found that cooking while on these trips is a great way to save a few bucks. While most of the rentals are stocked with basic supplies (pots, pans, plates, silverware, cups, coffee maker, etc. ), they may not have all the components you're accustomed to commonly having on hand. After a few condo rentals and a few disappointments in my lack of planning, I put together the box. I've actually mentioned the condo box before, but it's grown over the years as my wants and needs have matured. Now, this list doesn't include the normal things you would pack for a trip: clothes, shoes, toiletries, toys, books & magazine, etc. 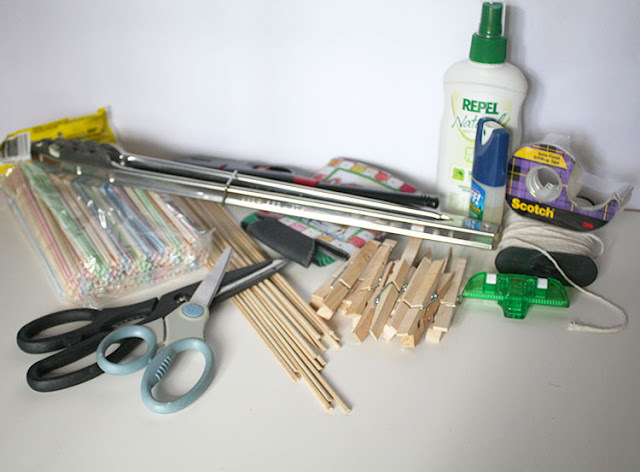 It's specific to making sure you have the supplies for the amenities you'd find in most rental houses and condos. 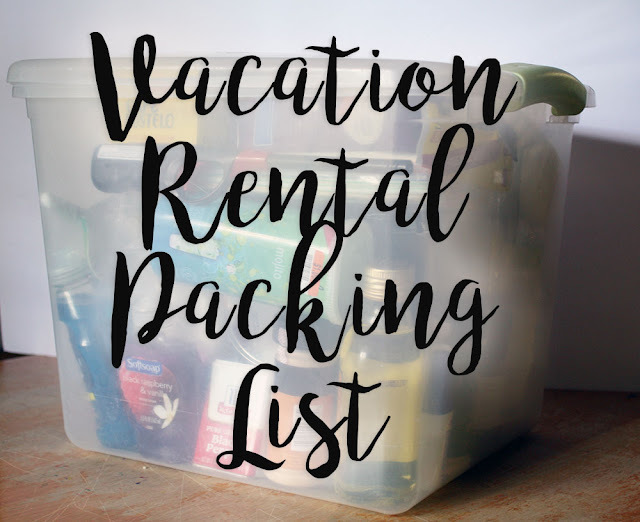 I've got a complete list for you at the bottom of the page, but let me go over why I think each of these items are needed in your packing for a rental vacation. Let's start with the most basic of basics: Paper Products. The amount you pack of any of these depends on your length of stay and number of people housing with you. 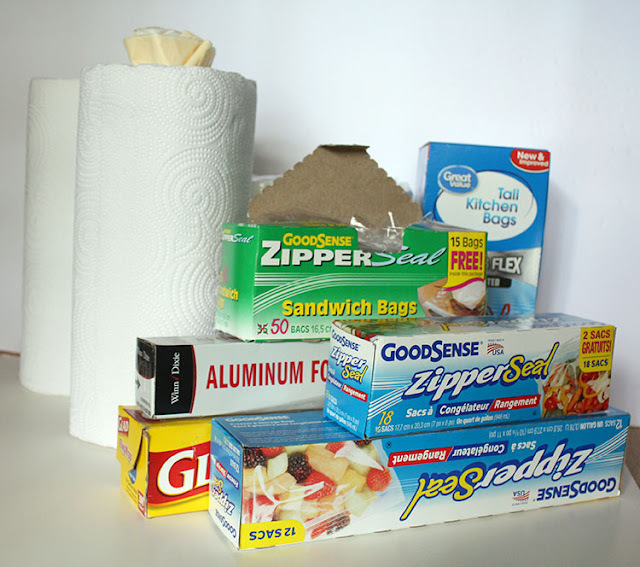 Paper Towels: While not the most environmentally friendly, these are a necessity for drying hands, wiping up spills, soaking up grease, and any of the other things you would normally use them for at home. Toilet Paper (hidden in the back of the picture): Most rentals will have at least a roll in each bathroom. However, after that, you could out of luck. NO ONE wants to be without some extra toilet tissue. Zip-Top Bags: These have multiple uses. 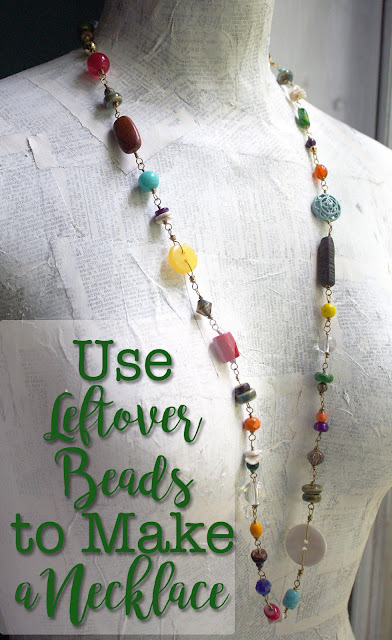 They're great for putting away leftovers, soaking meats in marinades, packing a picnic lunch, collecting shells on the beach, making baggie omelets, and numerous other uses. I tend to pack a variety of sizes (gallon, quart, and sandwich) for overkill. Aluminum Foil: I've found it's nice to have foil on hand to cover icky grills, covering food for baking, or containing any leftover food. Plastic Wrap: This is one of those things that's just nice to have on hand for leftovers. This will vary depending on how you clean, how long you stay, and what appliances are available in your rental. Sponges: If you plan to use dishes at all, these will come in handy especially if there's no dishwasher. Some condos I've stayed in have included disposable sponges, but that hasn't always been the case. Scrub Brush: I'm quite partial to a scrub brush for removing stubborn foods. They tend to last longer than sponges with scrub sides. This is definitely a personal preference. Dish Soap: It's unfortunate to find yourself with a pile of dishes, no dishwasher, and no dish soap. I plan ahead just in case there's none available at the property, which is usually what happens. Dishwasher Soap: The little pods of dishwasher soap are perfect for travel. If you've got some of your own, you can throw them in a baggie. However, I found this small pack at the dollar store. Often, if there's a dishwasher, they'll provide a few of the pods for you to use. Sometimes it's not enough though. Hand Soap: It's likely that there may be a small bar of soap next to one of the sinks where you rent, but to be sure you have cleanly hands, it's a good idea to go ahead and pack some of your own favorite soap. 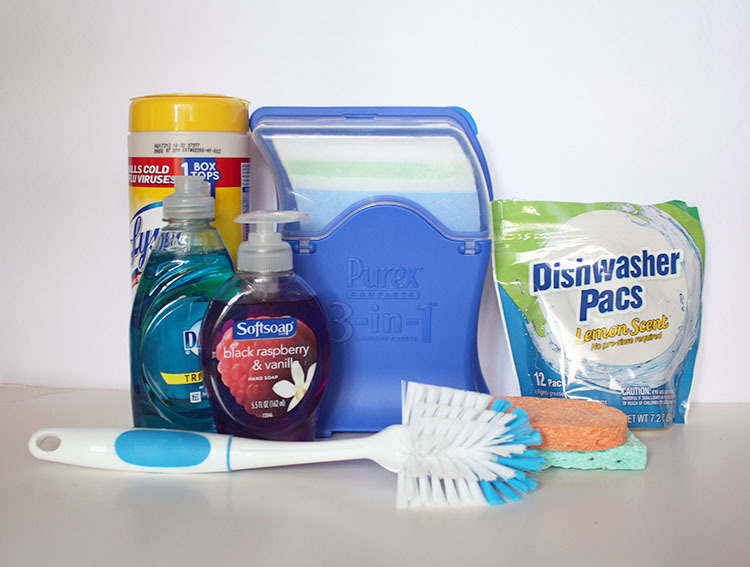 Multi-purpose Wipes: Cleaning wipes are just about the perfect thing to include in the box. It makes clean-up fast and easy so you can get back to enjoying your stay. Laundry Supplies: If you're lucky enough to get a rental with a washer and dryer, I highly recommend including something to take advantage of them. You may just want clean towels or there could be an unforeseen accident with your clothes. Or, you could just no pack as much and plan on cleaning the few clothing items you do take. You may want to go the full route of laundry soap, fabric softener, and softener sheets (or whatever it is you usually use). However, I found these 3-in-1 sheets that include all of that. It makes traveling much easier without additional liquids to tote to your destination. There is nothing worse than getting to your rental late at night, crashing, and realizing that there's no coffee the next morning. I only made that mistake once. Now I pack the following to prevent anyone from getting hurt. Coffee/K-cups: Check your rental closely to see what type of coffee maker they have so you can pack accordingly. 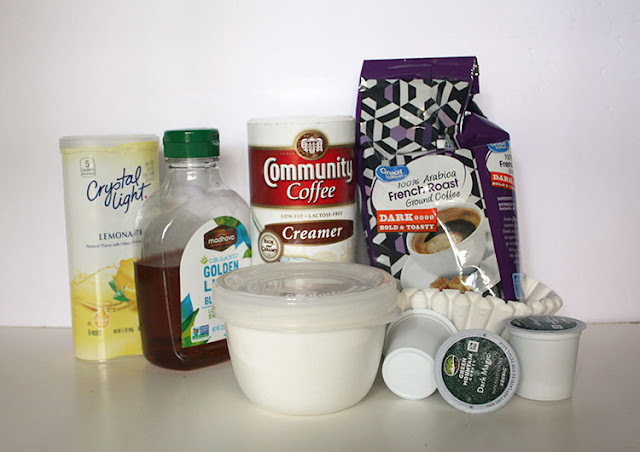 Coffee Filters: If there's a coffee pot, make sure you also pack some filters. Creamer and/or Sweetener: Throw in whatever it is that you and those staying with you like in their java to make sure everyone's happy. Drink Mix: It's nice to go ahead and have something else to drink, so I always pack some kind of drink mix that includes the sweetener (like lemonade) and just needs water to make it. You never quite know what will be included in the pantry at a rental property. Sometimes they are fully stocked, sometimes the cupboard is bare. I try to take a small assortment of the items I most commonly use. If you plan ahead and know what meals you'll be eating, it's even easier to pack this section. Salt and Pepper: The most basic of food seasonings, but I've encountered a few places that didn't even have these. It's harder than you think to cook without them. Olive Oil: Having a fat on hand also makes it easier to throw a meal together, especially when you're as big a fan of roasting vegetables as I am. Spices/Seasonings/Herbs: This is completely up to you and your tastes. I use granulated garlic in my food like it's going out of style. I also try to pack onion powder and parsley flakes. Think about what flavors you turn to most often (curry, thyme, basil, taco seasoning, seasoning salt, cajun seasoning, BBQ rubs, etc.) and make sure to include them in your box. 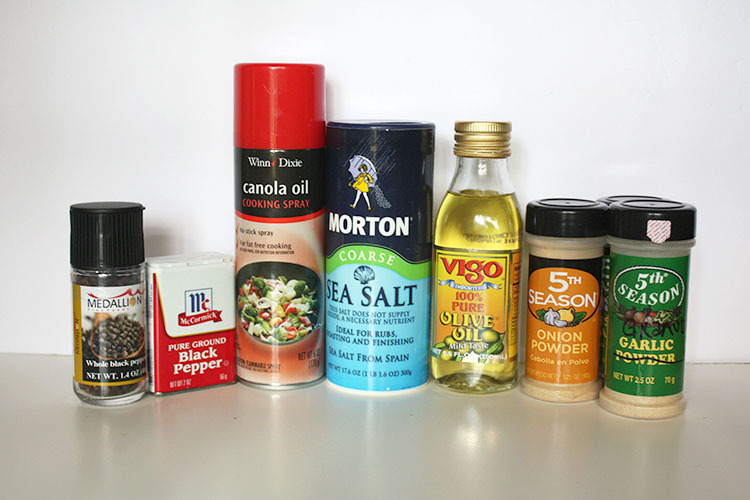 Non-Stick Spray: It's handy to have some spray on hand, especially if you plan on baking. This got added to the box after an unfortunate sticking disaster. That's all I'm going to say about that. These final items are the random things that I found I needed on different occasions and just didn't have. Drinking Straws: As bad as they are for the environment, I always have to have a straw because of my sensitive teeth. I'm on the edge of buying some reusable ones, but for now, I still pack the plastic disposable ones. I think we used all of five of them on this past retreat. Chip Clips/Clothespins: Potato chips are an inevitable snack on vacation, but we almost never eat a whole bag in one sitting. 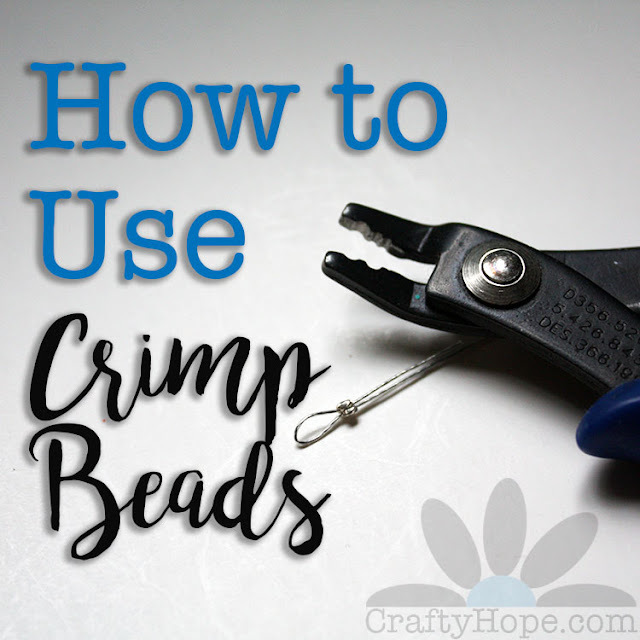 Chip clips are a luxury I've found we don't really need as clothespins work just as well. And, if you do need to hang something on a line, you've got the clothespins with you! Can huggers: There often tends to be a bit of beer-drinking when we vacation (shhh, don't tell), so I like to have a few koozies with us. Scotch tape: When you need some tape and there's none around, you kinda lose your mind a little. Go ahead and pack it. You may not need it, but if you do and don't have it, you'll kick yourself for it. Scissors: I'm one of those people that have a pair of scissors in EVERY room of my house. Seriously. (I am CraftyHope after all). Like tape, it's nice to know you have them if you need them. Tongs: These are a fairly new addition to the box. They're really more for camping but do come in handy for grilling or fishing crabs out of a crab net. Skewers: Like the tongs, there are more for grilling purposes. Grilled veggies on skewers are so yummy. Just saying! Twine: Like many of the other items in this list, these are a "just in case". I think they got added when we were planning on going crabbing and wanted to make sure we had twine for the nets. However, it can be used for any number of other tasks. Bug Spray: I keep this in the rental box because I always remember to pack sunscreen, but tend to forget about the bugs. So, I keep a bottle or two in the box to make sure we're covered. Lighter: Whether you're grilling out or having a campfire, a lighter or matches is good to have on hand. Of course, this list pertains mostly to those vacations within driving distance. If you have to fly to your destination, this list could be hand for your grocery trip. You definitely want to want to check with the rental agency or owner to see what they provide because I've heard that some don't have some basics like sheets and towels, but we haven't encountered any of those issues in our travels yet. Read through the listing well so you're good and prepared for what's to come. That way, you'll spend more time enjoying the vacation and less time running out for supplies. 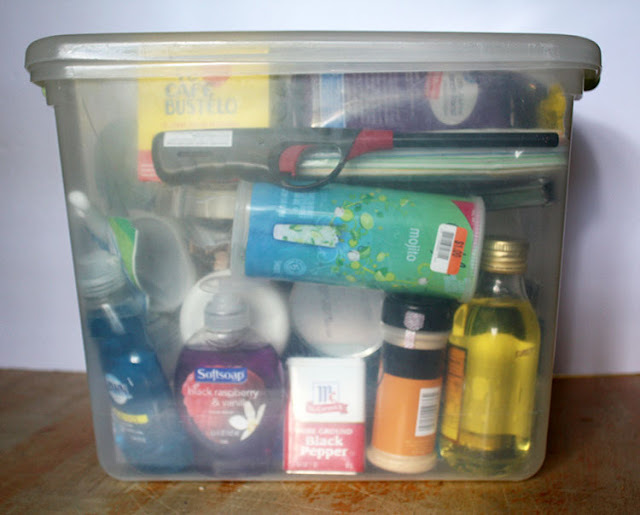 When my list was shorter, I was able to fit it all into a smaller plastic box. But, for longer trips (like our most recent one), I've had to pack the paper products separately. In this case, a reusable shopping bag was just the right size. There may be other foodstuffs that you want to go ahead and take with you, depending on what you plan on cooking. 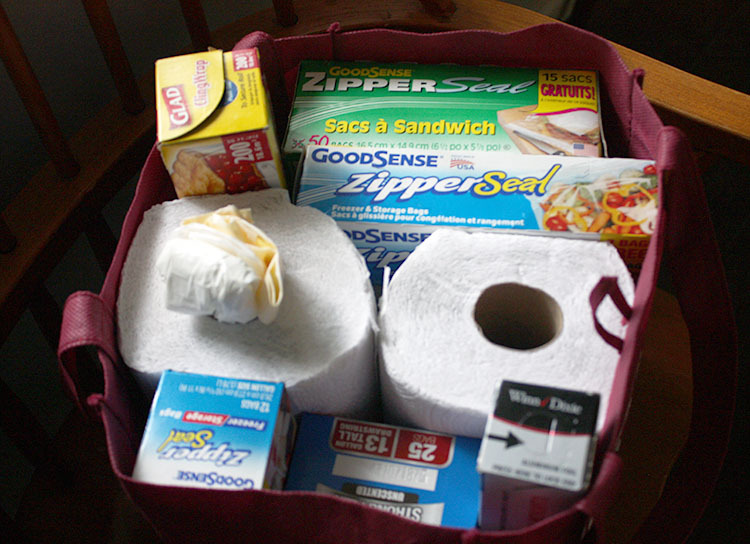 We tend to buy groceries on the way to the rental or during our stay, once we have a plan. Of course, if there are any specialty items you want that will keep on the voyage, I recommend adding them to your box. I'm sure that there may be other items that you find necessary for a rental property. Please let me know in the comments if there's something you feel I left out. You can never be too prepared. Happy Travels!! Great tips Hope! I always make a list before traveling. Although the last time we went away I forgot the toothpaste! I have no idea how that happened. :) I prefer renting a condo over a hotel. It is so much cozier and way more fun particularly if in a foreign country.